Escif‘s thought provoking street work continues to invade the streets of Valencia with this brand new piece entitled “Miami”. 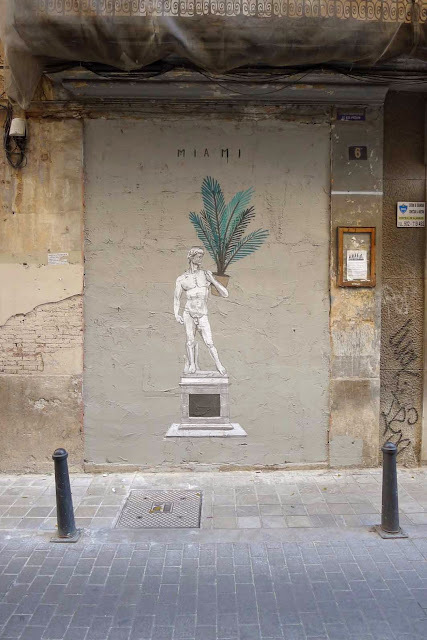 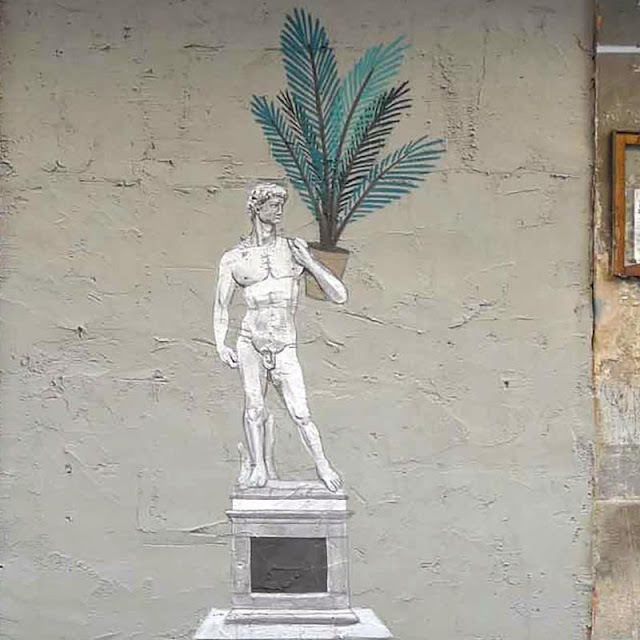 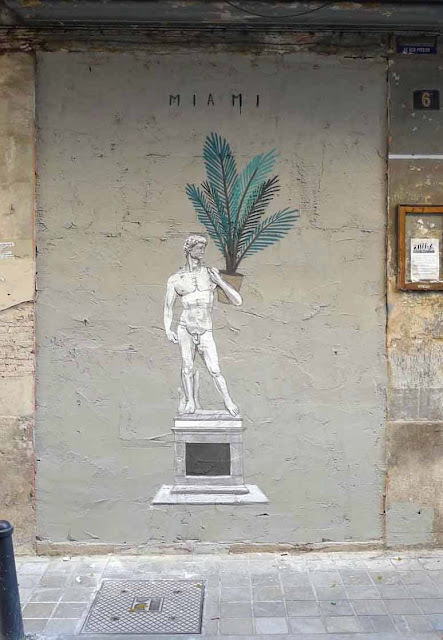 Referring to Art Basel in Florida, the Spaniard painted this statue of David and his “insignificant” plant. 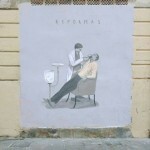 As usual with Escif, he executes a simple concept with a minimal colour palette and a great use of space. 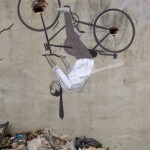 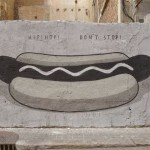 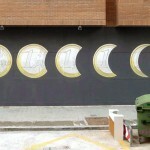 Continue reading to see extra images on this piece and then stay tuned to Street Art News for more from Escif soon.